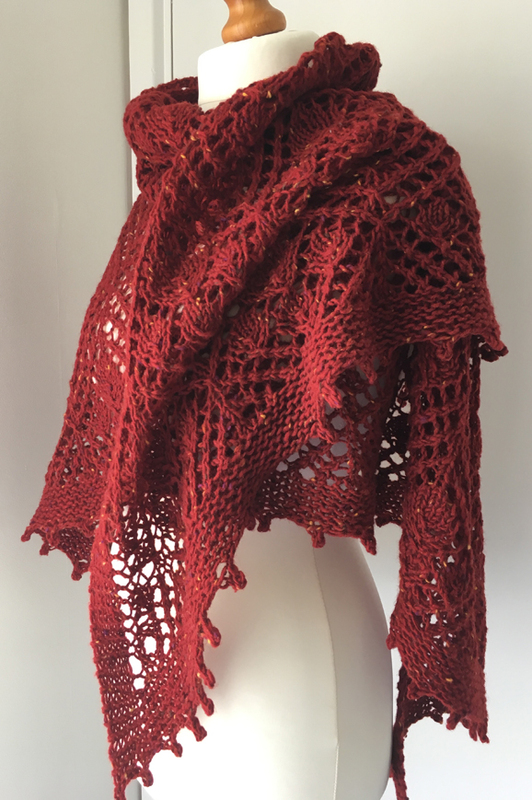 Based in East Grinstead, designer-maker Arianna Tremayne knits fabulous shawls for the discerning under the banner Love Lace Designs. ingénu/e magazine caught up with Arianna to tell us about herself and her work. “I am an artisan who hand knits timeless luxury accessories with a modern twist. 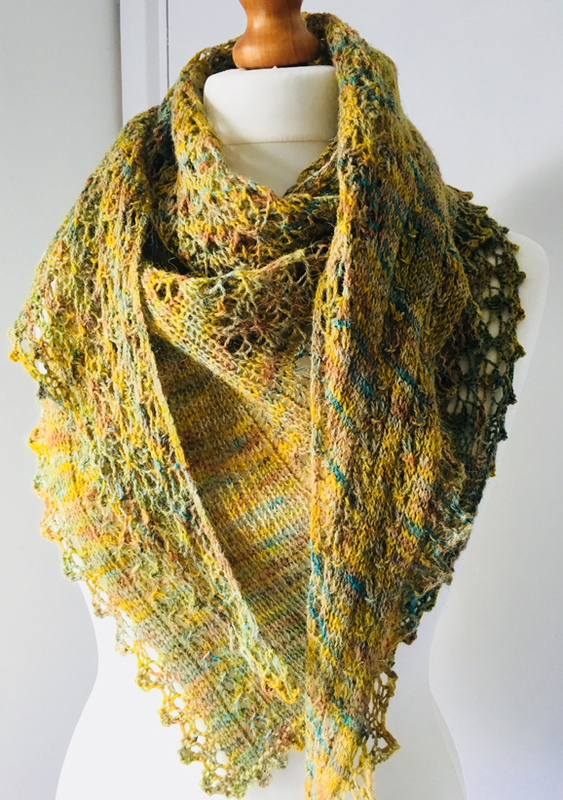 I love the interplay between colour and texture and the endless possibilities available in handknitting. Although I like to try out different yarns, I always come back to the woolly, tweedy pure wools made in Britain. 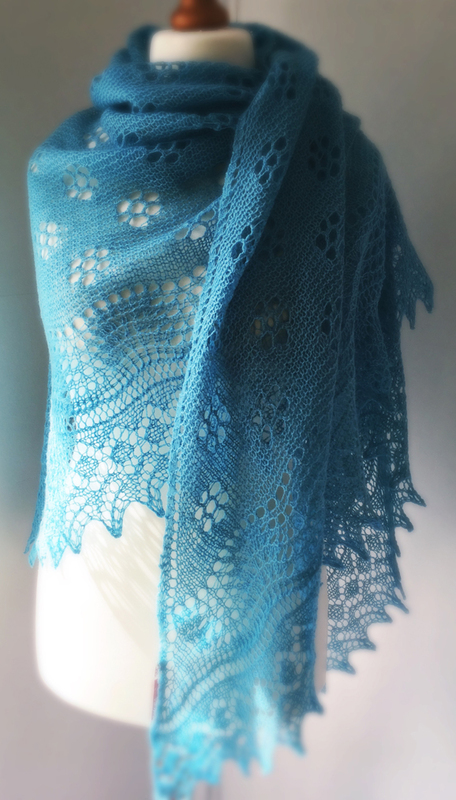 How did you come to start making shawls? “I was born into an artistic family and had an interest in fashion from an early age. I also have always been crafty, and tried my hand at many different things: from embroidery to sewing, from macramé knotting to watercolour painting, from upholstering to restoring furniture, I did it all. 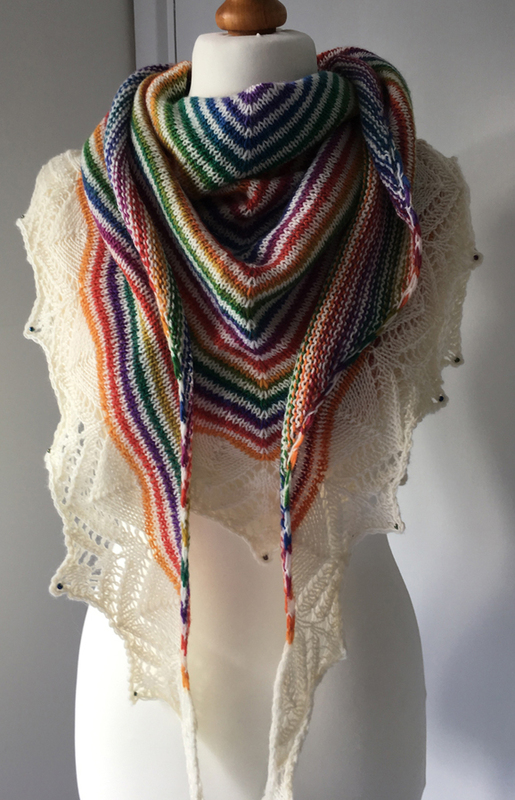 In the mid 80’s I worked in a yarn shop where I started knitting (and selling) my own jumpers, created a fashion show with one of my friends, and couldn’t put down the needles. I stopped knitting, however, when my employment at this shop came to an end. Do you work to a pre-set pattern or do you make your own pattern – and if so, what inspires or influences you? “I work from patterns as well as make up my own designs. I usually have an image in mind of what I would like to create and if a pattern for it is available, I adapt it to suit my style. If not, I make one up. 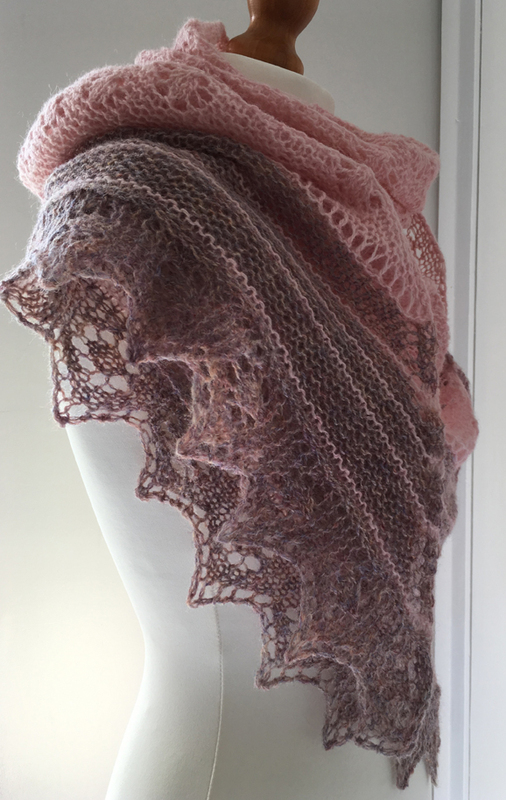 Where can people find more examples of your work and how can they buy a shawl?